Sewage backup ruins the hustle and bustle of everyday life because it is an emergency that must be remedied swiftly. Our sewage backup Canton crew uses the latest drying technology when it comes to water removal and 911 Restoration Atlanta is available 24/7 to help the water cleanup process move even quicker, which is important for a town packed with so many residents. 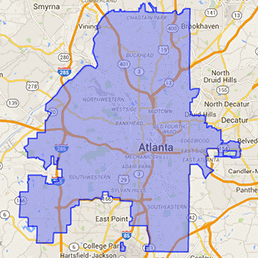 Situated close to Atlanta, Canton has over 1,200 individuals per square mile. With that many people living in Canton’s city limits, plumbing leaks are almost certain to happen daily. When you have returning water, our sewage backup Canton team will respond within 45 minutes to render sewage backup cleanup and plumbing repair for any pipe burst or ruptured hose. Contact us right away if you have black water in your home. What Caused My Sewage Backup? According to our sewage backup Canton experts, the primary cause for sewage backup is a clog, and there are many other reasons your home may be experiencing returning water. If feminine products, paper towels, or diapers are flushed, your property could have a toilet overflow or other major plumbing problems. As 911 Restoration Canton has seen, overgrown tree roots can enter the water line, causing a washer burst or ruptured hose. A free inspection from our sewage backup Canton professionals will you tell all you need to know about 911 Restoration Atlanta and where a potential sewage backup could start as well as how to fix it. How Can I Clean My Sewage Backup? You need our sewage backup Canton specialists to clean your sewage backup because black water and grey water are likely present and can spread E. Coli. Grey water is full of dirt and bacteria that can send you to the hospital if ingested. Category 3 black water can kill you if ingested and cause severe illness if you touch it. Raw sewage is not only dangerous to your health; it can completely ruin your belongings including your furniture, carpets and more. 911 Restoration Canton will thoroughly cleanse your home from all bacteria and get it back to its previous clean-smelling state. Our sewage backup Canton technicians use the latest drying technology to perform our water damage restoration and help you make it through a sewage backup emergency. How can a Sewage Backup Company Help Me? Our sewage backup Canton company can help you and your home recover after any a broken water line or returning water because we offer an affordable price on water cleanup. If you ever witness a toilet overflow or pipe burst, 911 Restoration Canton will always put the customer first, so we work with all insurance companies when it comes to any disaster restoration service. When you need water removal, you need our sewage backup Canton technicians because we have over 35 years of experience sanitizing houses and we are licensed, insured, and bonded in mold remediation. We value professionalism, so call 911 Restoration when you need more than just a plumbing company and we will be there with same day service.